Mothers are obviously commendable. What, morning sickness for 3 months (or the whole duration of pregnancy)? I don't think men can do that! Men curse they won't drink a single drop of brandy or beer after puking out in the gutter of the street on their way home. But preggo moms can't swear to not bear a child anymore. We can abstain but we can never make it sound as if we don't like the angel inside our tummy. Motherhood starts the day you did it with the father of the baby. It is more of the woman's discretion, IMHO. And I believe that fatherhood only starts when men shell out money from their wallets (or ATM cards) or in a more sentimental light, the moment they carried their babies in their arms. For Rhambo, fatherhood actually started December 18, 2008 --- almost 3 months after LB was born. It was a choice we made. And you know what? I even considered being a solo parent to our princess. Oh well, that was a heavy drama MMK-worthy scene that I decided not to talk about. One thing I proved to myself though is that I can't and don't want to raise my big ball of energy alone. Which, ironically is geographically happening. Anyway, I always admire career women who are devoted mothers, as well. In case you're wondering if I have met career women who are not as devoted as those I admire, oh yeah, I met a few. But I think the more admirable ones are the single moms. Really. I'll give you one fine example for this month's Nanaygosyante. 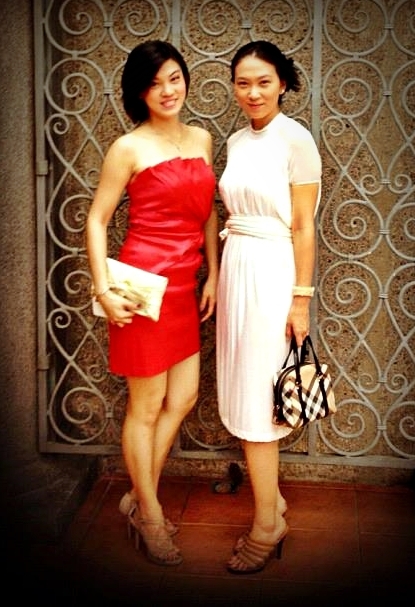 My royal subjects, it is my pleasure to introduce to you a super single mom and fabulous mompreneur at that --- Tiffany Tuazon of My Baby Dragon (MBD). I first virtually met Tiffany through her blog, My Cup of Cocoa. I can't remember when and how but I was headed to her article similar to a blog post I have written, which you can read here, entitled "Not Only Kids Bully Each Other, Moms too!" I have added her in my private Facebook account then eventually met her in person at the Baby Carnival Bazaar last year. I was shocked, amazed and fangirled (haha! if there's a word!) when I knew she is a single mom to 1-year-old Gaby. I mean, managing MBD with a baby, and you're doing it solo flight? I don't know what it's called if it's not superpower. It takes a great family to survive it though. Tiffany's sister, Jenifer, is her silent partner in MBD. I even saw a photo that Tiff posted in Facebook that she labeled her gold-watch-and-make-up-wearing sister, her daughter's yaya. Haha! More about Tiffany's superpowers, she acts as the marketing lead of their family business, Five Stallion Trading. Don't get me wrong, she is not so centered into being a career woman that she already is. 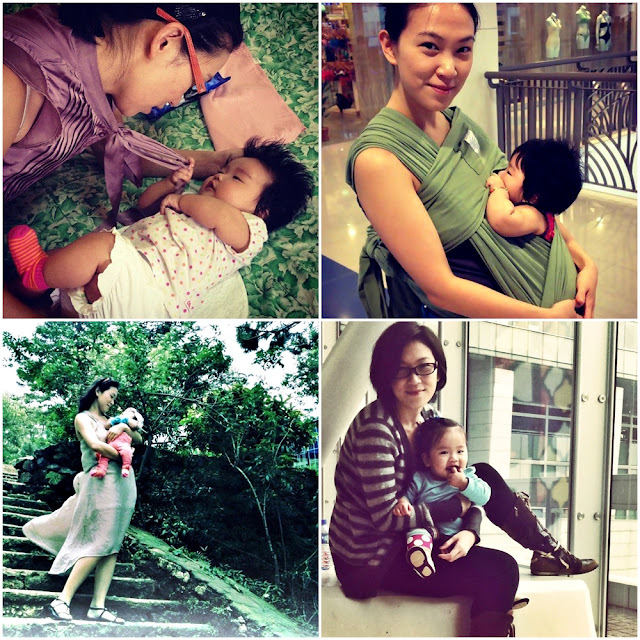 Hello, MBD sells K*Tan Baby Carriers! So whenever she has a business meeting, regardless if her client won't like it or not, she tags along Gaby with her in a K*Tan! Babywearing at its finest. Woot! Mommy Tiffany bonds with her daughter whenever she can. She spends time with her doing the groceries, in the beach or just being close to each other --- breastfeeding. Though she finds time being with friends over coffee or relaxing in a spa house with her mom, she still prefers being with her little heiress. And according to her, (edited for brevity) "I'm thankful for my parents and siblings who support us through and for God who showed me the way that I have received the best blessing that is Gab". 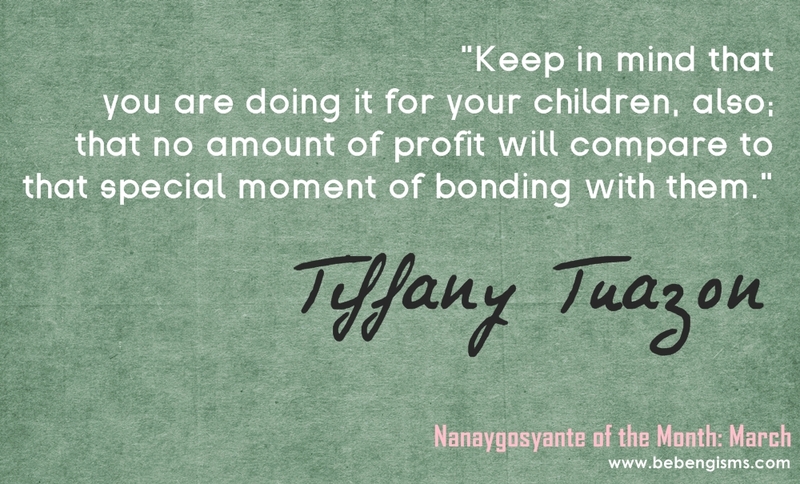 Aside from babywearing, breastfeeding and attachment parenting, Tiffany would also like to try homeschooling her only daughter. As devoted mothers, we all want to give what our children deserve. We are working for them, right? That's why Tiffany aims nothing but the best for MBD. She attended expos in Shanghai, China and Hongkong so she'd know what's new that she can eventually offer the Philippine market. I somehow have this weird dream that if entrepreneurship is a disease, I hope it's contagious. But for moms like me, who wish to have a business, Tiffany advises that "whether you are married, has a partner or single mom, the trick is time management and good support system. If you have a business opportunity just go for it, you won't go wrong if you love what you sell. Everything will just go naturally and it will fall into place. You should also have a lot of guts and be open to possibilities." Watch out for our Baby K'Tan giveaway on Gaby's birthday --- March 29!